The holiday season always brings about a certain dilemma for me. I just don’t quite know what to do with it. By the time I was born, my family didn’t really go to church anymore. When my brother and sister were little, I think my family attended a Baptist church, although it may have been Methodist. I vaguely remember us attending a service once or twice around Easter, although the Easter Bunny always visited our house and we hunted boiled, dyed eggs in the back yard. We always had a Christmas tree and Christmas presents, and I left milk and cookies out for Santa, and while we may have sang a few Christmas songs that actually mentioned the baby Jesus, the ones I remember most were about Santa Claus. 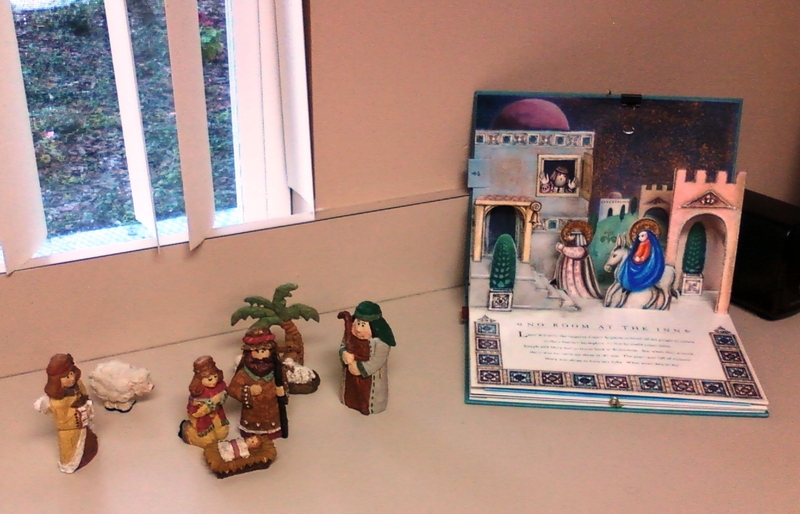 I don’t remember a formal Christmas story or any Nativity scenes included in our holiday decorations. When I was in grade school, I went with a neighbor child to her family’s church, and it being a Baptist church and big on outreach, they got me signed up to ride the Sunday bus and I attended church on my own until I was about 17 and became incredibly disenchanted with organized religion, Southern Baptist flavor in particular. Fast forward a few years to when my children were very young, and their dad decided that the dad-thing to do was to attend church as a family. Never mind that I had never heard him give any opinion on religion or even knew that he had been confirmed in the Lutheran church. Fortunately, the church he chose was part of the most liberal of the Lutheran synods, we became members, and I made many very good friends in the almost two decades we attended. All through that time, when the children would ask me about religious concepts, I would answer, “Lutherans believe….” and then give an answer based on the tenets of ELCA-based Lutheranism. Well, until they came home from Sunday School one Sunday and asked me about Hell. I told them it was a myth, a loving God would not throw anyone into a fiery abyss for eternity, and not to worry about it. All during that time, though, in addition to the Christian inspirational books I was reading, I was reading about neo-paganism, Wicca, and other earth-based matriarchal religions, along with books on Buddhism, reincarnation, self-hypnosis, and meditation. And a bunch of other stuff, too. I loved the rituals of the church, the chanting of the Psalms and the liturgy. But sometimes I would be kneeling at the communion rail wondering how anthropologists from other worlds (I read a lot of science fiction, too) would interpret the widespread behaviors of ritual cannibalism, and if one were to fully believe in the Catholic transubstantiation, then the belief in the literal cannibalism of the half-human and half-divine God. And sometimes I would just accept the pastor’s blessing. I guess it depended on the day. Fast forward again, and I now jokingly tell people that I am Lutheran-Buddhist-Heathen, except that it’s not really a joke; it’s actually a pretty accurate summation of the amalgam of my beliefs set. My husband is a Jewish agnostic/atheist, his parents the same. My husband’s children were raised going to the Episcopal church with their mother, but I don’t believe they attend church anymore, either. So, we come to the time of Midwinter Festivals and I am compelled by a sense of family to bring ours together in all their motley glory. 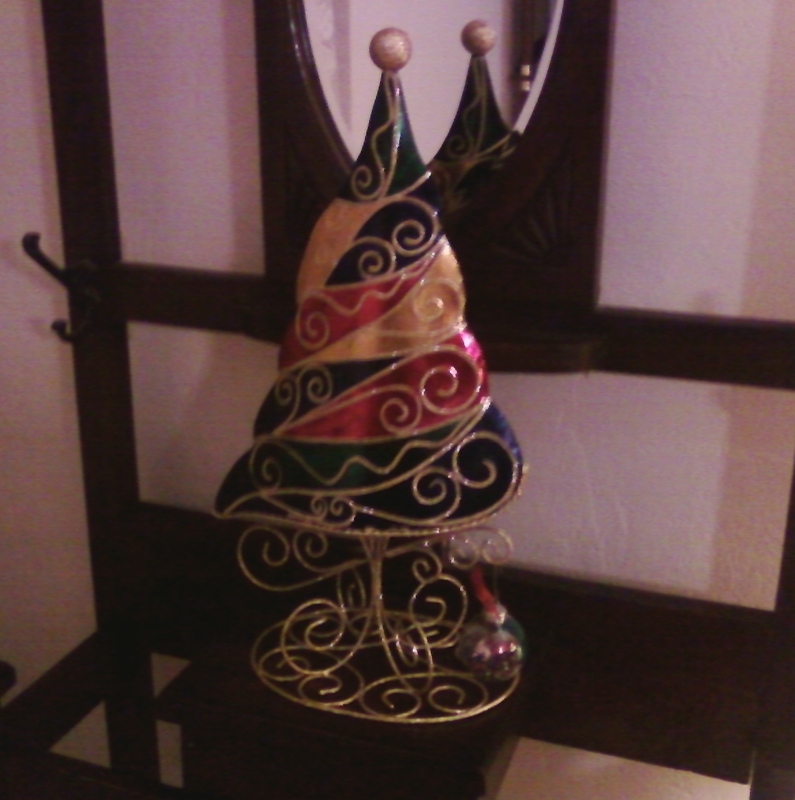 But it seems strange to celebrate the birth of a Divine Child that I don’t believe literally existed. If there was an historic Jesus, I believe he would be quite taken aback to find that he has become raised up to Godhood and the center of quite an elaborate mythos. And since my husband has no emotional attachment to any of the traditional Jewish rituals of the season, there doesn’t seem to be much reason to attend to them, either. This year, I have decided we will have a Festive Yule Feast, a Solstice Celebration. We have some wood from the grocery store to approximate a Yule log and I’m trying to find a market nearby that sells cabrito, as I understand a Yule goat is also a traditional festival food, although a pork roast standing in as a Yule Boar is also a possibility. I like the idea of celebrating the point in the year where the sun changes its mind about going away and starts coming back a little more each day. Festival of Lights. Light of the World. Return of the Light. Ultimately, I guess we’re really all celebrating the same thing – our opportunity to come together to fight back the darkness of the longest night. I know it’s the day after Thanksgiving, but I would be remiss if I didn’t mention how thankful I am to my in-laws, Marilynn and Herb, for the great job they did in raising my wonderful husband. They are lifelong entrepreneurs, and even though they are well into their retirement years, Marilynn can’t really bring herself to retire and is currently an award-winning saleswoman with Avon. Now matter where you live, you can order Avon on-line and have it delivered to your door. Click on the photo array above to go to Marilynn’s Avon page and see what fun stuff you can get delivered for Christmas. And no Black Friday crowds, either!